A hole opened up on a downtown Detroit sidewalk. Photo by Steve Neavling. 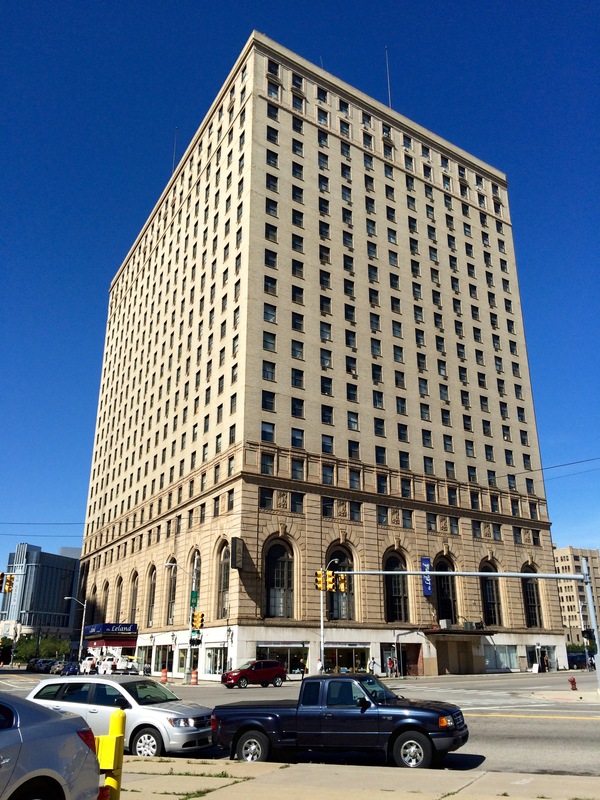 Historic Leland Hotel in downtown Detroit. By Steve Neavling. 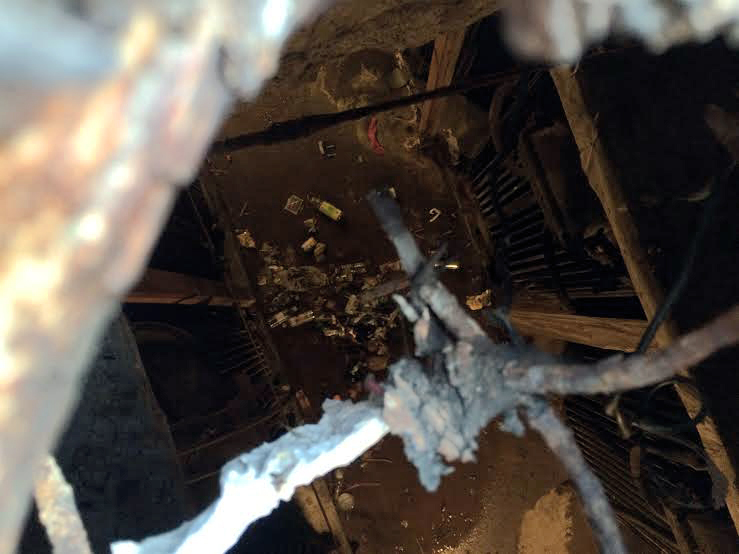 A hazardous hole has opened on a downtown Detroit sidewalk, revealing about a 15-foot drop to a tunnel and transformer vault littered with beer cans, water bottles and other trash. The hole is outside of the historic Leland Hotel, which is used primarily as an apartment. A diner and bar attached to the hotel also attract foot traffic. The hole is just large enough for a foot to slip through. Looks like a freight elevator. Or a fruit elevator. I bet I know where it is….that hole used to be a lot smaller (about the size of a quarter), and has been there since at LEAST the mid 90’s. I recognize what’s in the hole. A lot of the sidewalk on that side looked questionable from the underside when I was down there 15 years ago; I’m surprised it took this long for a hole to open.